Wedding Invites On The Way! Wedding Invites are on their way! 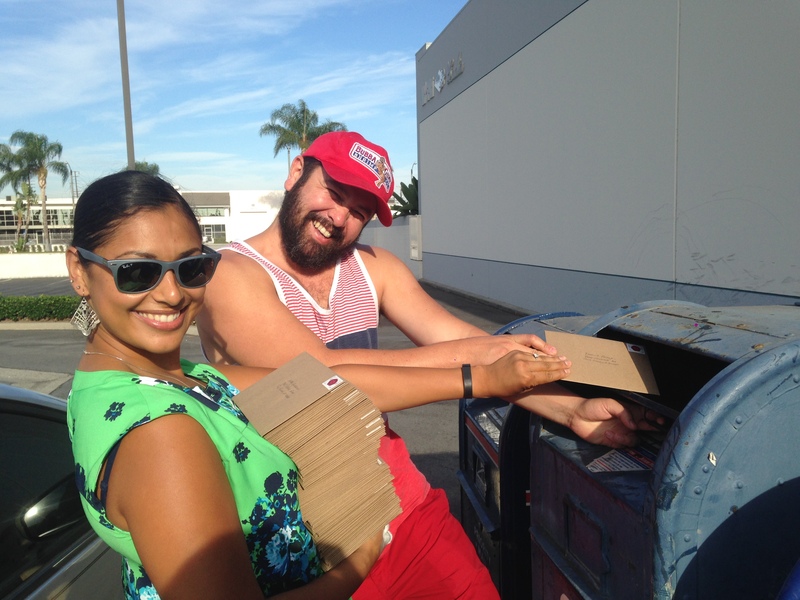 If your reading this blogpost, then you’ve probably received your invitation to, “La Gran Boda!” Here’s this lil’ pic of us dropping them off in the mail. Hope everyone’s invitation get’s to where they need to go to safely and quickly.